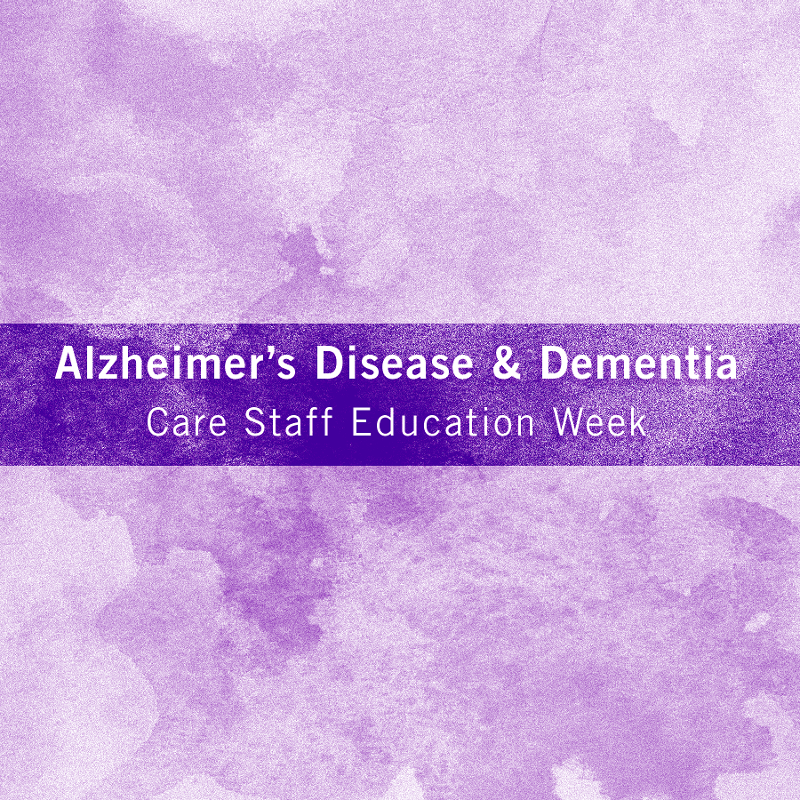 This week is Alzheimer's Disease and Dementia Care Staff Education week. We compiled a list of tips from the Alzheimer's Association website that are helpful for those caring for a loved one who is experiencing memory loss. Alzheimer's progresses slowly in three stages - mild (early-stage), moderate (middle-stage), and severe (late-stage). Each individual will experience symptoms and progress through Alzheimer's differently. Symptoms: A person may function independently. They may feel as if her or she is having memory lapses, such as forgetting familiar words or the location of everyday object. This is typically the longest stage. The person with Alzheimer's may confuse words, get frustrated or angry, or act in unexpected ways. They often have difficulty remembering events or one's own personal history, recalling their address, remembering what day it is, and have an increased risk of wandering and becoming lost. Create a daily routine: Having structure is important during this stage as the person with Alzheimer's disease cannot function independently like they used to. Putting together a plan will help both you and the person with Alzheimer's stay on track and continue to accomplish tasks. Take care of yourself: Care giving responsibilities will become more demanding. Taking breaks, even for just a few moments, to regain some energy. Make sure not to isolate yourself and consider finding a local resource, such as one of Immanuel's communities that offers memory support, that can offer round-the-clock skilled nursing for your loved one. Use a calm voice: When responding to repeated questions, it can be frustrating to reply with the same answer. Do your best to use a calm voice and be as understanding as possible. Use simple written reminders: If the person can still read, written reminders can help them self-direct their actions, rather than being told what to do. Symptoms: The person with Alzheimer's loses their ability to respond to their environment, to carry on a conversation and, eventually, to control movement. Communicating pain also becomes difficult and it is at this stage that they will need extensive help with daily activities. At this stage, it is strongly encouraged for families to move their loved one into a care community, as the needs at this stage are extensive and may exceed what you can provide at home. Strongly consider moving the person into a care community: Care needs are very extensive at this stage, and they may even exceed what you can provide at home. This can be an incredibly difficult decision for families, but the most important concern is that the person is receiving the care that they need. Look for physical signs: As it is difficult for a person with Alzheimer's to communicate pain at this stage, check for signs of pain or illness, such as mouth sores or swelling of any part of the body. Encourage self-feeding: Sometimes a person only needs cues, such as putting food on a spoon, in order to finish the action. If not, assist the person with feeding by alternating small bites with fluids. Encourage use of the sense: At this stage, the world is primarily experienced through the senses. You can help express this by paying the person's favorite music, looking at old photos together, brushing the person's hair, or sitting outside together on a nice day. For more tips, visit alz.org.